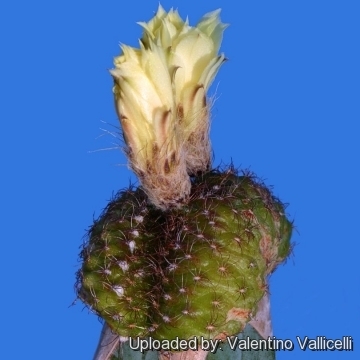 Description: Frailea schilinzkyana is a very small cactus that remains solitary or (occasiaonally) somewhat cespitose. 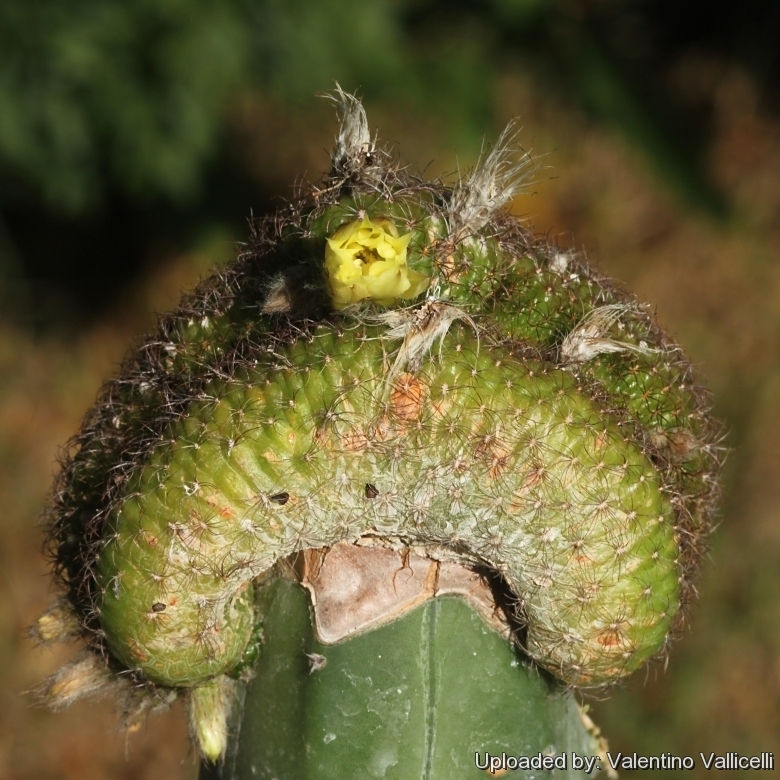 The crested form Frailea schilinzkyana f. cristata is very rare and sought after by collectors, for its unique features. Root: Has a swollen root below the surface of the compost. Stem: Fan shaped, diminutive in size, flattened on top, depressed centrally, Medium dark brownish green. 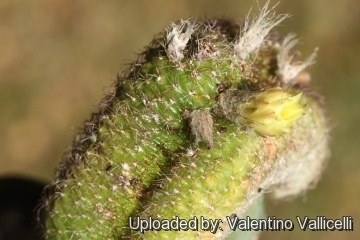 Radial spines: About 12 to 14 short (2 to 3 mm long) which vary from yellow to dark tannish-brow n or blackish in colour, more or less appressed and reflexed. Central spines: Solitary, stouter than the radials. Blooming season: Flowers will open only in great heat, in the hottest, brightest, afternoon sun, if at all. Fruits: Dry, indehiscent, that detach easily, yellowish, pericarp membranous, fragile that break easily, releasing the seed. Cultivation and Propagation: It is not too difficult in a greenhouse, although grows quite slowly. 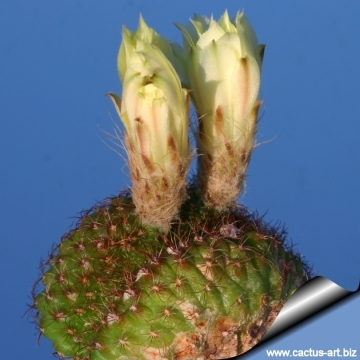 It is usually seen as a grafted plant but grows on its own roots too. Hardiness: Keep perfectly dry in winter at temperatures from 5 to 15 degrees centigrade. (but it is relatively cold resistant and hardy to 0° C, or possibly colder for short periods) In the rest period no high atmospheric humidity! !